Chef Chris Underwood’s passion for pastry started as a young boy, when his weekends were spent observing his grandmother’s neighbour bake cakes for Granada Studios during visits. 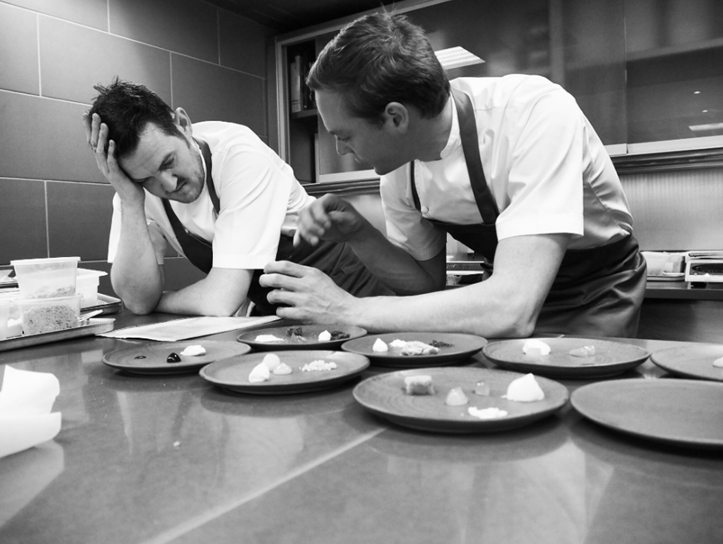 Since then, he has gone on to work at some of the UK’s best restaurants and hotels, including Cliveden, Gidleigh Park and Fera at Claridge’s, and been mentored by the likes of Alan Murchison, Michael Caines and Tom Aikens. 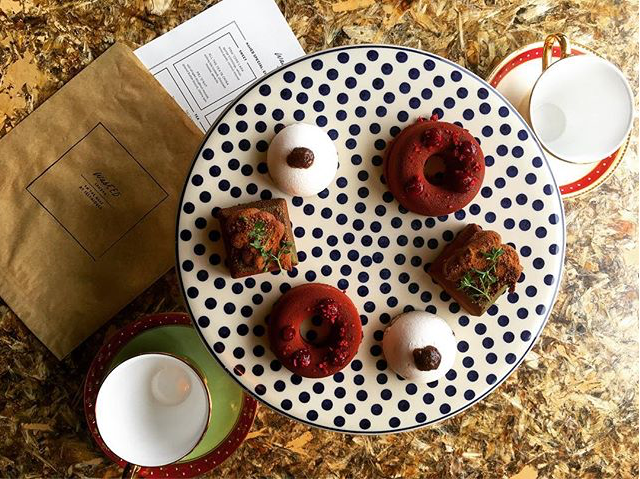 Pop-ups have also piqued his interest en route: as a guest chef for Dan Barber’s wastEDLondon, he devised an innovative afternoon tea menu made entirely of food which would have otherwise been thrown away. 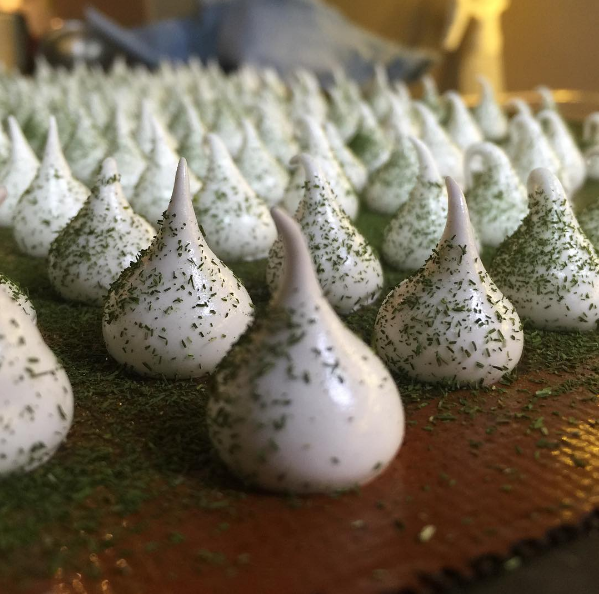 Following a stint as Head Pastry Chef at The Devonshire Club for which he was headhunted, Chris is currently Estate Head Pastry Chef at Beaverbrook Hotel in Surrey. In an interview with The Caterer, you admitted that you “love a good chick flick”. Which ones have you liked and disliked? Ones I watched and disliked: Sleepless in Seattle (only because my wife and sister-in-law were watching after I cooked on Sunday). The one I did like: 50 First Dates (I think Adam Sandler is hilarious). If you were invited to speak about a topic totally unrelated to food, what would it be and what about it appeals to you? So much to learn from your mistakes and other peoples’. Also, newspaper headlines: there are so many more other news articles that deserve to be on the front cover of the morning papers, e.g. deaths and events in Pakistan, but instead they have things like Justin Bieber getting arrested. I think that whilst I appreciate the job of the journalists, I strongly believe that they need to prioritise; what’s happening in the world is far more important than such things like Justin Bieber, etc. 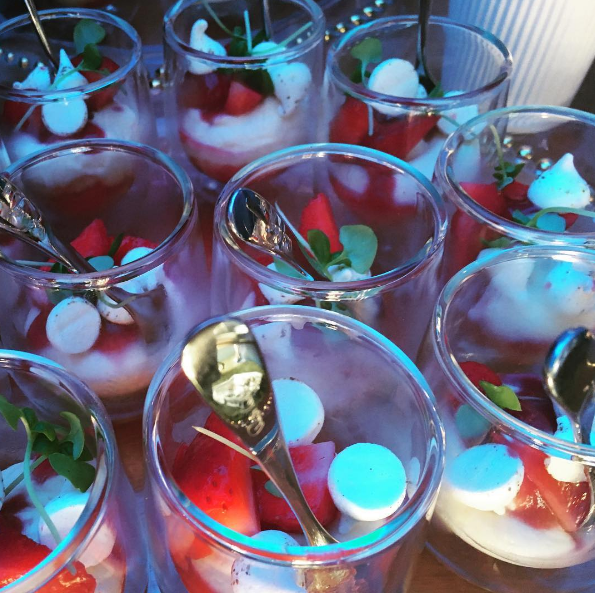 Have you ever tried a dish in another restaurant or at an event that you wish you had created, and if so, what made it memorable? If I had an opportunity to open something here in London, I would like to create a dessert bar. As a pastry chef, I feel sometimes let down by a dessert in a restaurant and believe there is a market for this. Take “2am:dessertbar” by Janice Wong in Singapore; amazing concept and doing so well. London is a 24-hour city and I feel we need to provide people with what they want. It would also give pastry chefs the recognition they deserve by putting them in the limelight. What is your least favourite thing about humanity? Lack of respect for the environment, waste, pollution and litter. You were a guest chef at Dan Barber’s #wastEDLondon 3-month pop-up at Selfridges, the aim of which was to educate people about food waste and how it can be reworked into menus. How do you try to minimise food waste? A chef never likes waste, so we try to use everything we had in one form or another, treating the ingredients with lots of respect and trying to utilise them completely to our best ability. With public review sites like TripAdvisor and the increasingly popularity of bloggers, everyone is a critic. How do you respond to any negative feedback? The only way we can learn and go forward is to learn by our mistakes/negative comments and build on them by reading and understanding their reasons and what can make this better (listening to the public as they are the guests). If you could share a meal with a well-known personality, past or present, who would you invite and why? Would you choose the same person if you were cooking the meal yourself? I would invite close friends and ask Tom Aikens to cook as I believe he is the best chef this country has ever produced. His style and flavour of his cooking when I worked for him was definitely the most progressive cooking in London at the time (2004/2012). I would also invite Lee Evans; the banter during the meal would be epic. No, I would choose Denzel Washington. Are there any opportunities that you wish you had taken and what was the consequence of not having done so? I have been very lucky in my career to date and don’t have any regrets or consequences of opportunities which I should have taken. What has been your least extravagant purchase, but the one that has had the most positive impact on your life? A gin and tonic I bought a woman ten years ago and is now my wife. What is your most valuable possession, how did you acquire it and why does it mean so much to you? A Vitamix and a ProQ smoker: a Christmas present and summer upgrade respectively. I use the Vitamix on a daily basis for shakes, and the smoker just in time for the summer, bringing friends and family together to celebrate food. You recently collaborated with Ben Spalding as part of his #AllGunsBlazing supper club series. Why did you want to get involved in this project and what does his style of cooking represent for you? 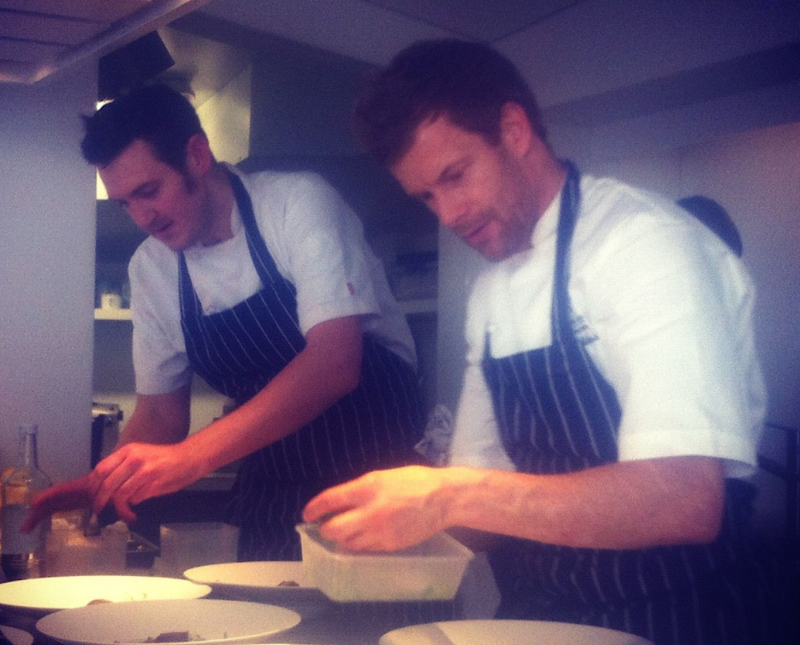 Myself and Ben have known of each other for a few years and said we would collaborate one day; we have a similar background when it comes to working in fine dining restaurants. His style of cooking is free and there are no boundaries in what he does, no-one to say, “Stop, that’s enough on the plate,” which, for me, is an expression of love for food. Who would form part of your fantasy pastry brigade and what do these individuals bring to the table for you? Simon Jenkins [former pastry chef at Ramsay Group] for his knowledge and skill and wisdom. Graham Hornigold [Executive Pastry Chef of the Hakkasan Group] for his teaching ability, knowledge and organisation. Jermaine Cunningham [previously worked at Landau, Tom Aikens, Five Fields and Fera with Chris]: a good friend and a safe pair of hands. James ‘Jocky’ Petrie [Group Executive Development Chef for Gordon Ramsay] for his constant drive for perfection and development, and always pushing boundaries. You previously said that Tom Aikens encouraged you to take risks in the kitchen, some of which can occasionally backfire. What have been your worst setbacks and how have you overcome them? It’s all about taking risks, not knowing if the dish works or not, constantly re-working the dishes, formulating the flavour profiles. Constructing ideas and having the persistence to keep going and not give up because one person says it doesn’t work; self-belief. What makes your blood boil about the food industry right now? A lot of young, jumped up chefs straight out of college thinking that they are the next best thing. Diners taking photos and videos of their meal to share on social media is very common nowadays. How do you feel about this modern-day obsession, particularly when the quality of the dish may be affected, e.g. food getting cold? As long as I know that the food I have sent out is the best I can possibly deliver as soon as it leaves the kitchen and in front of the diner, it’s up to them what they do regarding pics. Hopefully they will understand the time, effort and appreciation that has gone into it. I guess it also depends on where you are and your influence by it. In your Big Hospitality profile, you’re quoted as saying, “The job is 10 per cent talent and 90 per cent hard work.” How do you keep yourself going whenever your motivation wanes? I try to motivate myself because if that doesn’t work, then how can I motivate my team? Always keep up to date with modern techniques and try to go to stages at restaurants and learn new things, never settling for ‘just good’. 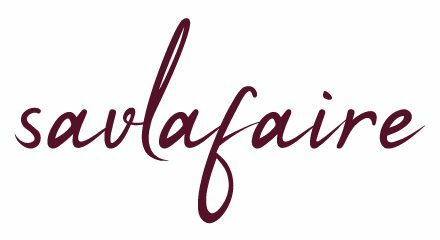 Do you still envisage opening your own bakery in Kent and developing your own cookbook? Yes. I’m also looking at opening a dessert bar concept in London because I feel there’s a niche for this as many people are let down and disappointed at the end of a great meal; desserts always fail. My belief is to have that as a long-lasting memory, especially if it’s the last thing that you ate before leaving the restaurant, something you can take with you. 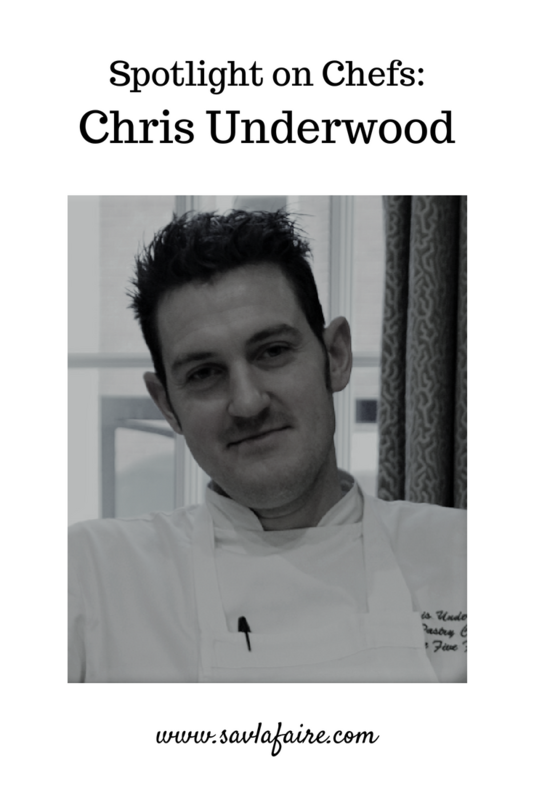 If you enjoyed reading this Chris Underwood interview, you can check out more exclusive Spotlight on Chefs interviews here.